Katabasis is a fertile creative territory from Orpheus to Dante, from Zazie to Deathline. From Hobs Lane to Troywood nuclear bunker, Mount Vernon Arts Lab’s explorations into the underground are a remarkable extension of this venerable tradition of artists who share the burden of mystery. And Hobs Lane—the street in the Quatermass and the Pit BBC TV series and subsequent Hammer movie—is our destination. 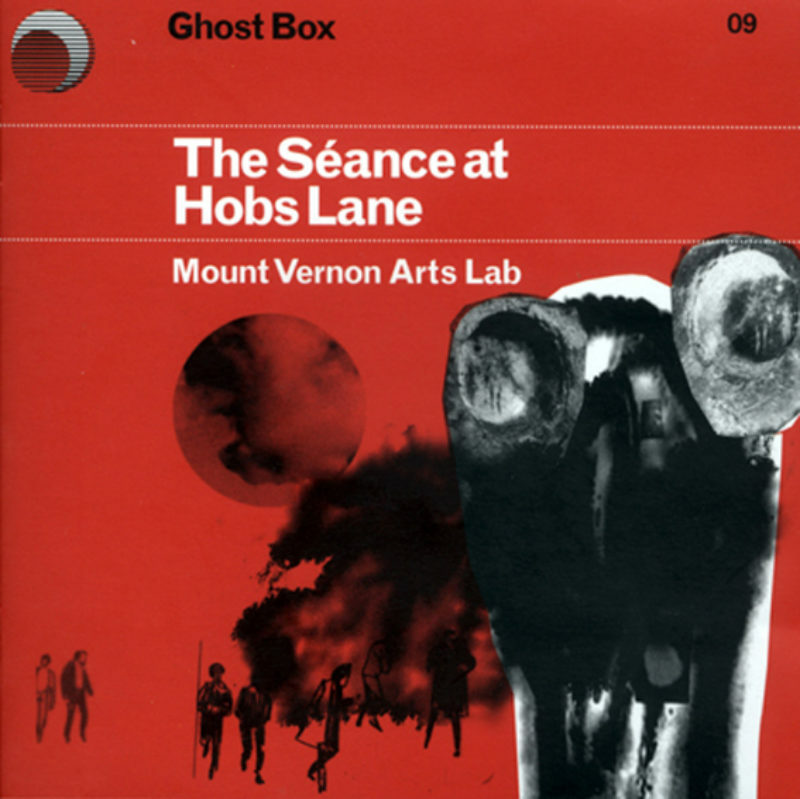 ‘The Séance at Hobs Lane’ first happened in 2001, but it could have occurred in 1958 when the BBC Radiophonic Workshop and CND campaigned for pushing and not pushing buttons. Hobs Lane has been reactivated again thanks to the excavation team at the glorious Ghost Box unit, now on their ninth mission. This British Experimental Rocket Group is really just Glaswegian psychogeographer Drew Mulholland, but, like Professor Quatermass, he has great support, enlisting help from Norman Blake, Isobel Campbell, John Balance, Adrian Utley, Raymond MacDonald, Barry 7 and John Cavanagh to unleash a devil of an alien sound. It is a music distilled from the nuclear age, and ‘Hobgoblins’ sounds like there are a group of ghosts in the machine. It is a mesmeric journey, and epic album closer, ‘Percy Toplis’, sounds like a fox hunt in a nuclear reactor—if only Edge of Darkness had had that and not Eric Clapton on soundtrack duties. Mulholland distils that retro yet future sound that Ghost Box specialise in. Get this album and have your own séance on a wet afternoon, or take it for a drift walk.